Sunset south of San Antonio brough beautiful orange and blue to a bluebonnets landscape on this warm March evening. All was quiet as daylight waned. 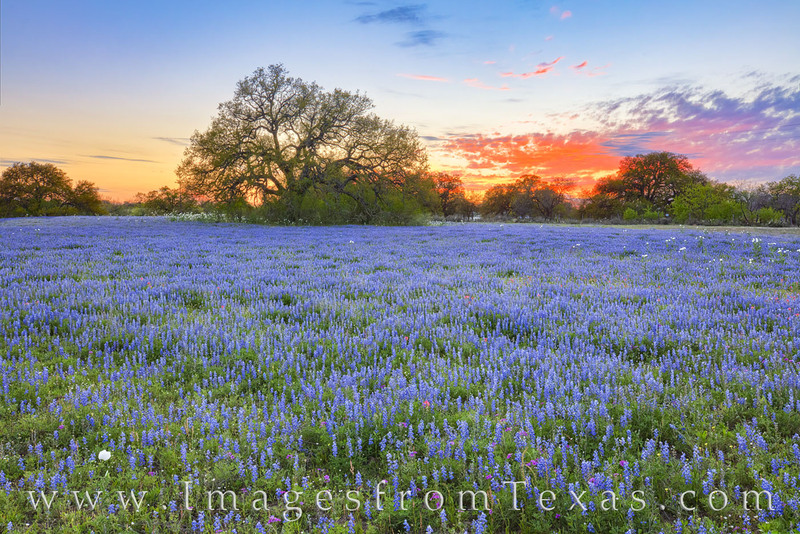 In this photograph taken near Poteet, hints of red paintbursh, violet phlox, and white prickly poppies can be seen mixing in with the carpet of bluebonnets. Photo © copyright by Rob Greebon.